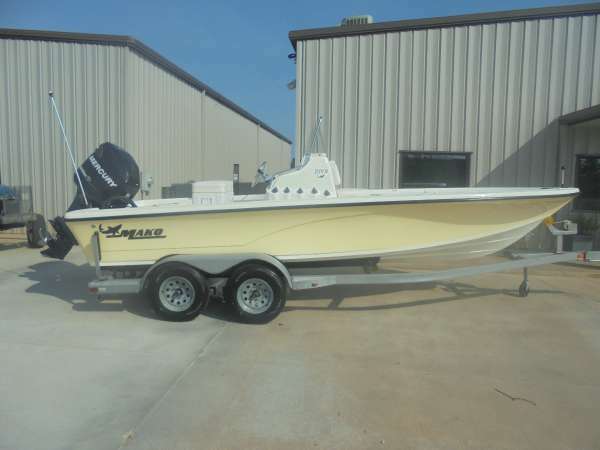 2008 Mako 2201 Inshore This like new boat has integrated bow and stern casting decks that are the favorite features on this MAKO 2201. 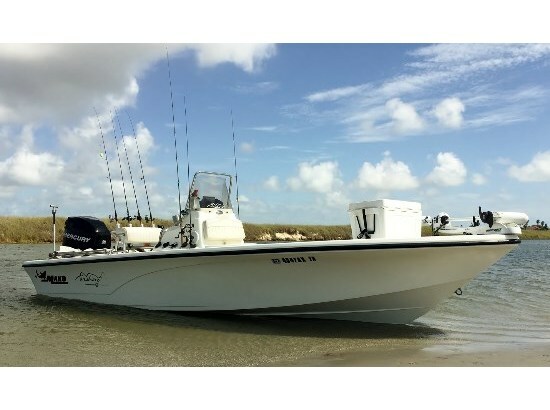 When fishing bays or deeper water, you'll enjoy the smooth, dry ride that's a MAKO hallmark. Powered by a dependable and powerful LOW hour...(less than 300hours) Mercury Optimax 225hp outboard. It even has a "hinged" upper station for a 360 degree range of view and keeping an eye on the water...other boats and fish. Amenities include jack plate, power pole (Pro Series) bow mounted trolling motor and elevated fiberglass console with integrated baitwell, anodized aluminum leaning post, built-in forward tackle storage, under-gunwale and vertical flush-mounted rod holders...even an aft aerated baitwell. 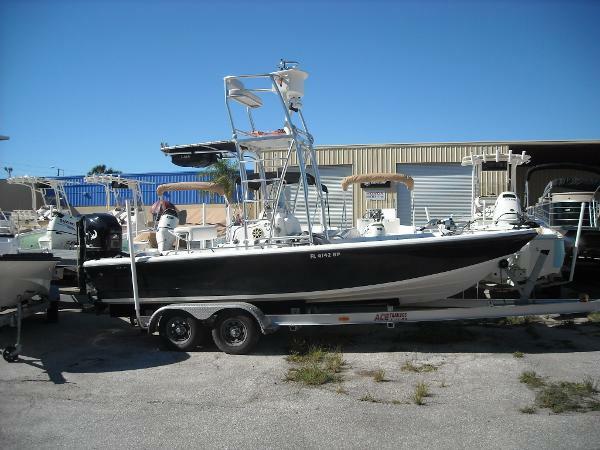 Built in the rugged MAKO tradition, this feature-rich bay boat is built tougher than it has to be. For more than 20 years Sunray has sold thousands of new and pre-owned boats, please call 727-531-3012,ask for Buck to check location and availability of this listing. All prices are plus tax, tag and title fees. Not responsible for errors or omissions. No trailer included at this low price but trailers are available from Sunray Marine. 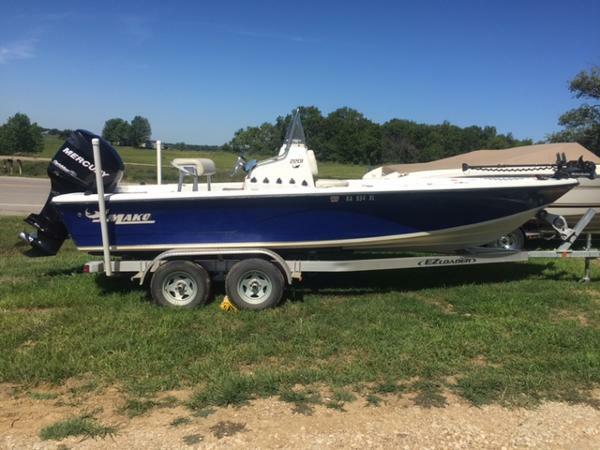 2008 Mako 2201 Inshore THIS 2201 INSHORE IS IN FAIR CONDITION AND LOADED WITH MERCURY 225 OPTI MAX WITH 370 HOURS, 2015 E/Z LOADEDR ALUMINUM I BEAM TRAILER, 2016 MOTORGUIDE 36 VLT 105 PINNPOINT XI5 WITH GATE WAY CONNECTIONT TO A BRAND NEW LOWRANCE HDS9 GEN 3 WITH STRUCTURE SCAN AND SONIC HUB, LOWRANCE HDS8 AND A 4 BANK CHARGER.